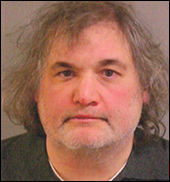 HOBOKEN, N.J. (CelebrityAccess) — Comedian Artie Lange was arrested for drug possession charges near his home in New Jersey. According to NJ Advance Media, police said the 49-year-old Lange was arrested on Sunday after he was allegedly discovered with cocaine, heroin and drug paraphernalia. Lange, who is best known for his stints on Howard Stern and Mad TV, was recently featured in HBO's "Crashing," a comedy series about the lives of working comedians. In the show, Lange plays himself.